Want it by Wednesday 24th April? Order within 4 days, 12 hours, 32 minutes and choose Royal Mail Tracked 24 Hour at checkout. This girls jacket is perfect for keeping your little one warm. 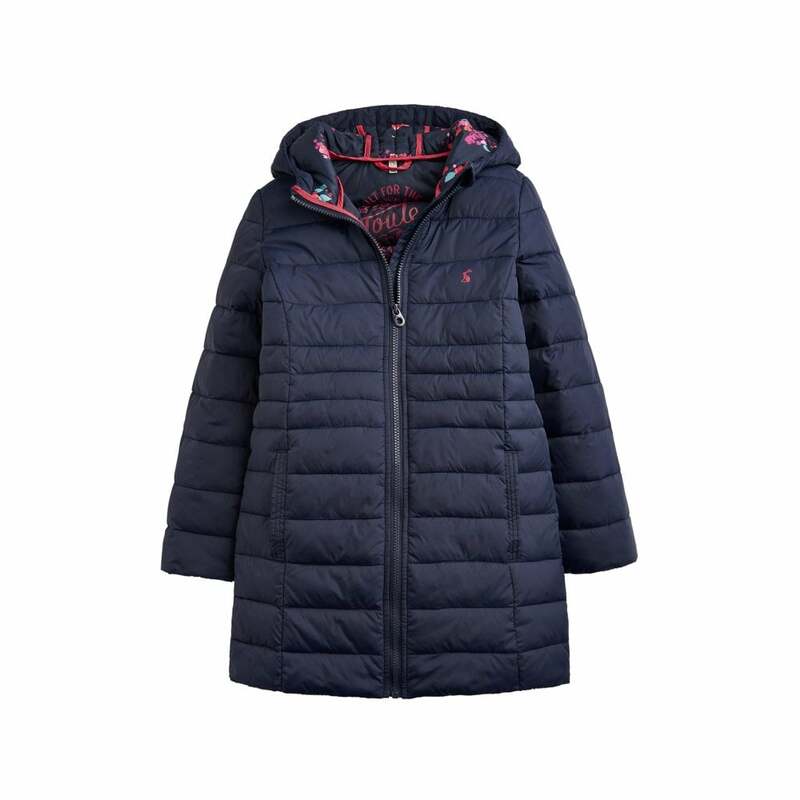 Lightly padded and with a print lined hood, this is great for keeping the chill out on colder days. This longline packaway comes with its own little bag - perfect for stowing away when the sun comes out!